Visitors and locals agree that Oside is in the midst of a renaissance. 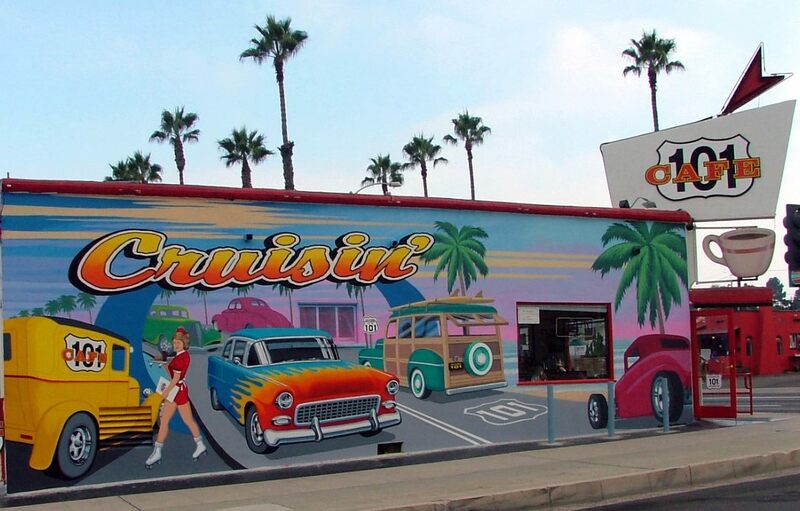 As you stroll through Oceanside, you’ll find an amazing variety of casual to fine cuisine, where you can try everything from Italian, Mexican, and BBQ, to Asian, seafood, gastropub fare, craft brews, pastries and more. Some of the chefs share the passion of using locally grown foods, and pair their creations with craft beer that’s brewed right in Oceanside. Walking though town to explore the restaurants is such a pleasure as you enjoy views of the pier, palm trees overhead, and colorful murals that beckon a double take. 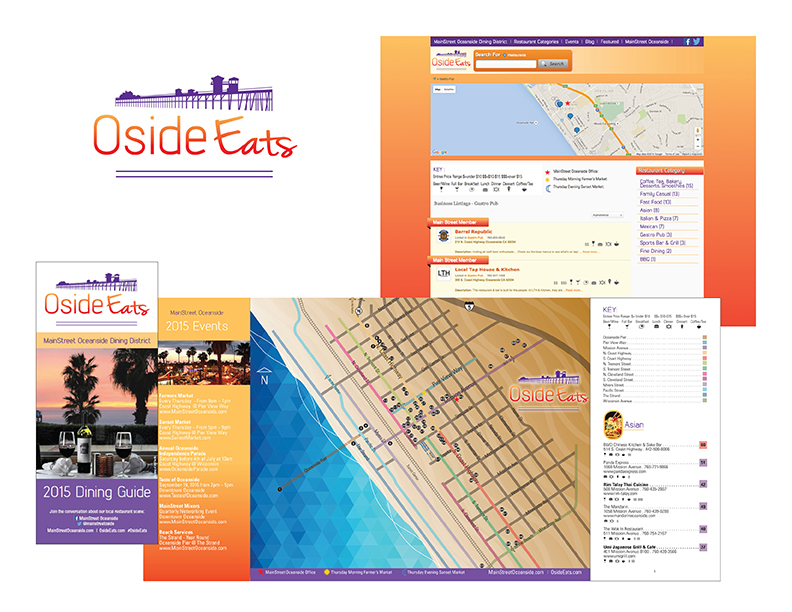 The OsideEats initiative kicked off with our development of a new brand for the district. The pier is a quintessential landmark of the Downtown Oceanside experience and was unanimously adopted for the logo image, along with the iconic SoCal sunset color palette. Next we explored ideas for the format, look and feel for the printed dining guide. We narrowed it down to a contemporary approach with restaurants listed by category and color coded streets on a seaside map. We also developed an online mobile friendly Downtown Dining Directory with a blog to feature the eclectic eateries and the interesting stories behind them.